Yoosa Sul - CEO - GREVO Co., Ltd.
After graduating from Keio University, I joined Recruit holdings in 2005. I moved to Vietnam in 2010 and launched Soltec Vietnam Company. In 2011, I launched a new company, Evolable Asia Co., Ltd., and served as its CEO. I established Soltec Investment Pte., Ltd in Singapore in 2014 and handled all group businesses and investment business. In 2017, I established GREVO Co., Ltd. jointly with GREE. Inc,. In the same year Evolable Asia Co., Ltd. acquired 100% share of Punch Entertainment (Vietnam) from DeNA Co., Ltd., and I became the company's representative. 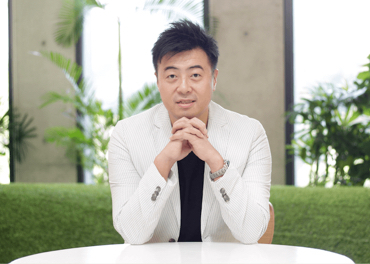 In 2019, I became CEO of GREVO Co., Ltd.
Our slogans are “Teamwork, Professional, Proactive” and these words enable us to further grow existing game assets. We boast a team of talented staff who are top-class in Vietnam. By combining their power and the social game management know-how cultivated in Japan, we have an expanding range of never-seen-before challenging business opportunities. Join us today, and make world surprise together! Annual KPIs bonus. 13th month salary. Performance salary review twice a year. Incentive scheme bonus. Premium health insurance. Yearly health checkup. Onsite training (Japanese/US). Management training. Soft skill training. Workshop. Language training : English/Japanese/Com-BSE training. Quarterly kick off party, Monthly team building, Seasonal events. Football, swimming, badminton, tennis, guitar club and so much more. Most value people - Quarterly / Monthly. Want to explore your new software career?